Chemists’ Own Dry Touch Sunscreen Lotion SPF 50 is one sunscreen to replace them all. The innovative ‘Dry Touch’ lotion glides on with a smooth, lightweight finish, and quickly absorbs into the skin like a moisturiser rather than a traditional, greasy sunscreen. Chemists’ Own Sport Moisturising Lip Balm SPF 50+ is the product you can’t afford not to have. Did you know your lips are one of the most vulnerable spots for sunburn on your face? Banish sunburnt, sore and blistered lips with its nourishing Jojoba Oil, Aloe Vera Extract and Vitamin E, as well as broad spectrum UV protection. 1. 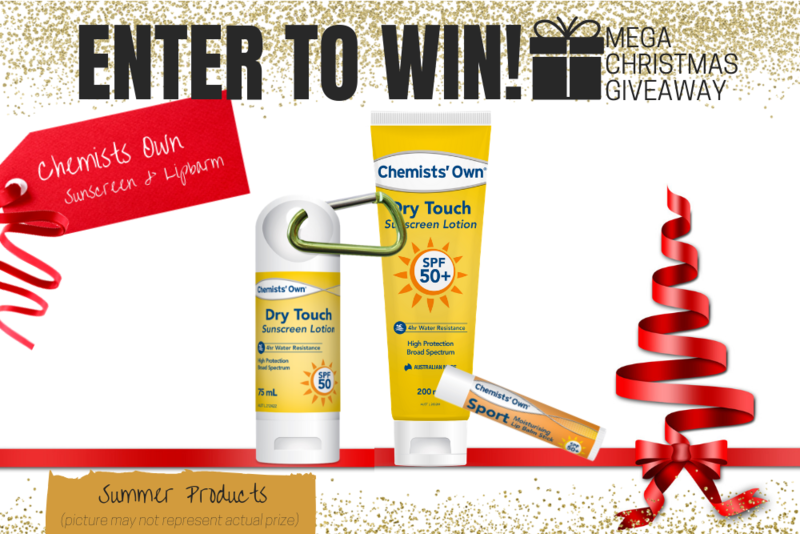 **Chemists' Own Summer Products including, Dry Touch Sunscreen Lotion SPF 50 and Sport Moisturising Lip Balm SPF 50+. Total Prize Value $27.30** AUD (the "Prize"). 2. It is the responsibility of the winner to collect the Prize within 7 days of the end of the Competition Period from the Promoter’s Mornington office. 3. The Prize, or any part thereof, must be accepted as awarded and is non-negotiable, non-transferable to another person and non-convertible and is not transferable for cash. 4. The prize must be collected from the Promotors Mornington Office, unless otherwise advised.